The Washington State Parks and Recreation Commission is inviting the public to celebrate the spring season and Earth Day with two free days at state parks in April. On free days, visitors do not need a Discover Pass for day-use parking. The first free day is Saturday, April 20 and the next free day is Monday, April 22, in honor of Earth Day, according to a state parks news release. The free days are in line with legislation that created the Discover Pass. An annual pass costs $30 or $10 for a one-day permit. 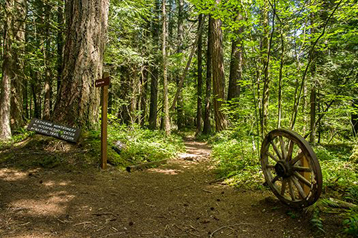 It is required for vehicle access to state recreation lands managed by Washington State Parks, the Washington Department of Fish and Wildlife (WDFW) and the Department of Natural Resources (DNR). The Discover Pass legislation provided that State Parks could designate up to 12 “free days” when the pass would not be required to visit state parks, the news release states. The free days apply only at state parks; the Discover Pass is still required on WDFW and DNR lands.